At LÄRABAR®, we believe that the foundation of a sound mind, body and spirit is derived from what you eat - and what you eat is most delicious and satisfying when it's in a whole, natural state. We believe that it doesn’t matter who you are, everyone deserves to eat great food. We are passionate about creating delicious, convenient snacks that are made from just a few, simple ingredients for everyone to enjoy. 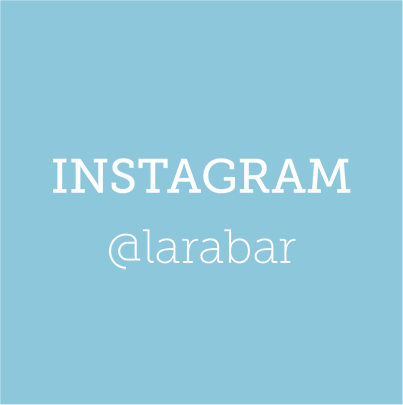 To this day, we continue to be inspired by Lara’s vision for LÄRABAR. Our Original Fruit & Nut Food Bars are made with only a few, recognizable ingredients, are minimally processed, and GMO free.